In order to take the final Unit 4 exam offering on June 12, 2019 for first time candidates, registration is required on or before April 6, 2019, and there are no refunds or rescheduling after that date. Please also note that students who register within 2 weeks of the course start date may not receive their study materials until the 2nd class. 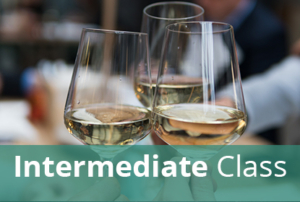 This 4-class course will be held at Capital Wine School on the following dates: May 1, May 8, May 15, and May 22, with the exam on June 12. Each class meets from 6:30 p.m. until 9:30 p.m. The WSET exam will be at 4:30 p.m.
WSET Level 4 Diploma, Unit #4: Spirits is usually taught over four sessions. The exam takes one hour and five minutes, usually from 4:30 to 5:35. It includes a tasting assessment of three wines, as well as several essay questions related to material covered in the Unit. You must have taken the WSET Level 4 Diploma, Unit #2 exam before registering for this, or any other, Diploma unit. The course fee includes the 4 classes at the Capital Wine School, the practice exam at the Capital Wine School, the WSET Level 4 Diploma Unit #4 study materials, and the WSET exam at Capital Wine School. Please click here to register to retake or reschedule the WSET Level 4 Diploma, Unit #4 Exam. The exam will be at 4:30 p.m. on June 12, 2019 at the Capital Wine School.